(Raleigh, NC – March 1, 2018) Kane Realty Corporation and FCP℠ welcomed their first residents today at The Dillon, the first mixed-use development of its kind in downtown Raleigh’s Warehouse District. 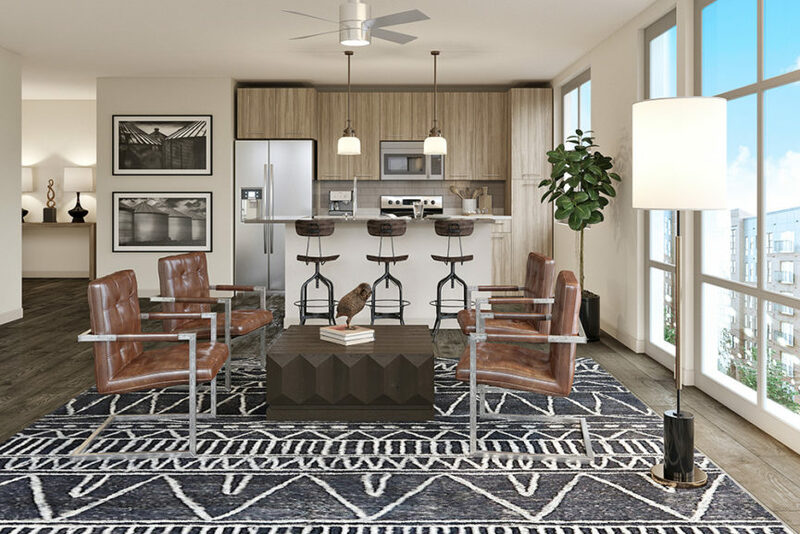 The Dillon is comprised of 271 residential units featuring high end finishes including quartz counters, plank flooring and designer cabinetry, with keyless entry and Nest thermostats rounding out the high-tech features. Ample upscale amenities provided to the residents will be a 3,000 square foot fitness center overlooking downtown, work from home spaces, resort-style saltwater pool with wood sundeck, and a bike center with bike share program for residents to navigate around their new neighborhood. The Dillon residents will soon be able to enjoy a wide variety of restaurants and retailers just steps away from their homes including Weaver Street Market, Urban Outfitters, O-Ku Sushi, Bishop’s Cuts & Color, Heirloom Brew Shop and Barcelona Wine Bar. For more information on The Dillon Apartments, please visit LiveDillonRaleigh.com.